Using two different dating technique, geologists have come across what they believe to be the oldest piece of Earth discovered thus far. The zircon crystal, found on a sheep ranch in Western Australia , was confirmed to be 4.4 billion years old and offers tantalizing clues and insights on how our planet must have looked like in its infancy. To put things into perspective, our planet is believed to have formed 4.5 billion years ago. The geological relic indicates, for one, that Earth’s crust formed shortly after the planet stabilized and formed. John Valley, a University of Wisconsin geoscience professor who led the research, said the findings suggest that the early Earth was not as harsh a place as many scientists have thought. No doubt, this is an extraordinary find, however, the untrained eye would have surely missed it. Measuring about 200 by 400 microns, or roughly two times the width of a human hair, the tiny gem was luckily retrieved by geologists in 2001 from a rock outcrop in Australia’s Jack Hills region. The zircon fragment was dated using two separate techniques. The first one was the conventional dating through the study of radioactive decay of uranium to lead in a mineral sample. Because some scientists voiced that this method is unreliable for samples this old because of the possible movement of lead atoms within the crystal over time, a second technique was employed to date the sample. Using what’s known in the field as atom-probe tomography, the researchers identified individual atoms of lead in the crystal and determined their mass. 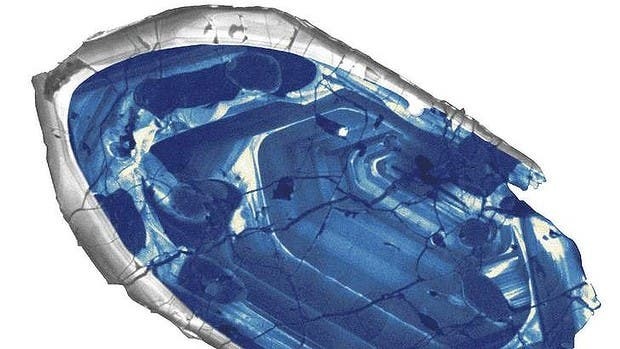 Indeed, the analysis confirmed that the gem was genuinely 4.4 billion years old. This suggests that Earth’s crust formed just 100 million years after the planet stabilized under the form of a giant molted ball (or was it?). This also means that the crystal came into existence just 160 million years after the solar system was formed. Yes, this rock right here has seen a few! 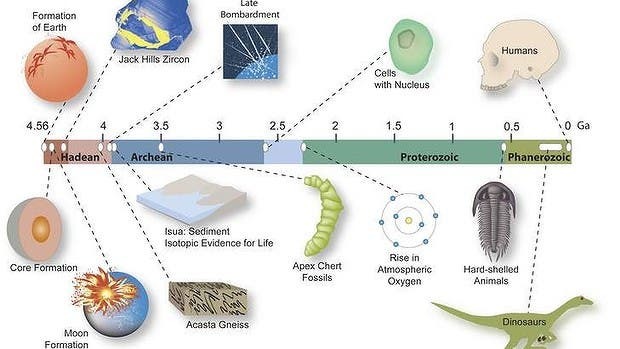 Interestingly enough, the zircon crystal seems to support the “cool early Earth” theory that states that during the Hadean eon, when the Earth was exposed to hellish conditions like meteorite bombardment and an initially molten surface, it’s possible that the planet might have hosted oceans and even life even by then. “One of the things that we’re really interested in is: when did the Earth first become habitable for life? When did it cool off enough that life might have emerged?” Professor Valley said. “We have no evidence that life existed then. We have no evidence that it didn’t. But there is no reason why life could not have existed on Earth 4.3 billion years ago,” he added. To our knowledge, the oldest fossil record is 3.4 billion years old – stromatolites produced by an archaic form of bacteria. The gem was covered in a paper published in the journal Nature Geoscience.